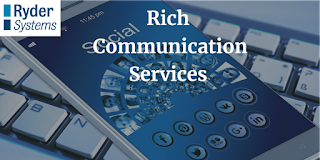 Ryder Systems: Rich Communication Services (RCS) - Evolution or Revolution? Consumers data plans will be used to send messages via RCS – this enables carriers to set their own levels of charging for messages sent using RCS instead of incorporating them into SMS plans, so as data usage grows there may be additional revenue opportunities for carriers. Why are we seeing this increase? Because it delivers a more personalised experience, it’s simple to use and interoperability with SMS is enabled. In addition, RCS helps brands create richer, more interactive opportunities to communicate digitally with customers via mobile messaging. No longer is a mobile phone just a mobile phone, it has become a digital communication device and customers expectations of their devices has grown exponentially since the Motorola ‘brick’ launched into the mobile communications market in the early 70’s. Brands are leveraging RCS for anything from airline boarding passes, interactive advertising, sales support, customer care and secure banking. RCS also provides brands with a plethora of detailed behavioural and campaign tracking data. By the end of 2018 GSMA predicts that there will be 350 million active users of RCS, a figure more likely to increase rather than decrease, this type of growth brings immense opportunities across the industry for business use. Consumer demand for RCS is also highly likely to become a key driver of innovation for carriers, as well as an integral part of their ‘digital transformation’ journey. Apple continues to use their own iMessage platform and has not yet signed up for the RCS project. The latest market share figures (April 2018) show mobile operating systems leading with Android at 71.46% and iOS with 26.55%. In addition, Analysts confirm that Smartphone users around the world are now selecting Android over Apple, likely due to replacement or initial cost and if this trend continues then Apple will need to look closely at their luxury brand status and premium pricing strategy and consider joining the RCS revolution. 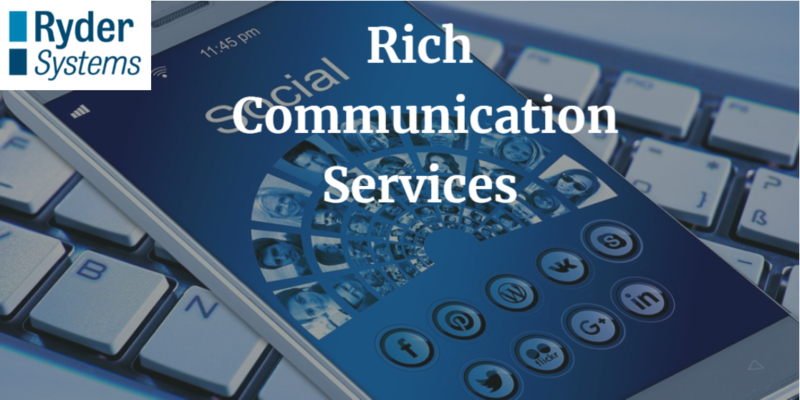 Applications such as Whatsapp, Viber and others may have similar functionality to RCS, however, RCS has become a mobile network communications standard, and as such is more likely to be adopted by brands who want to communicate with customers using the application to person (A2P). I will be sharing more industry insights on a regular basis so please click the links to the right to follow Ryder Systems on Linked In, Twitter or here on the blog.